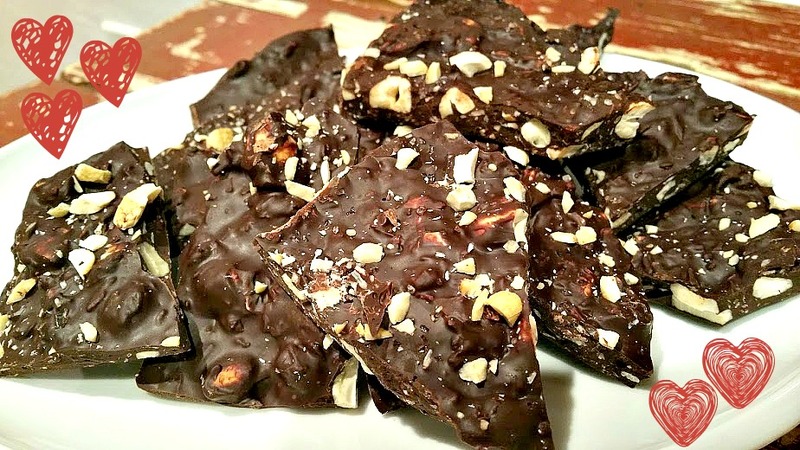 There are only seven ingredients in this bark, so it is very important that each one is of the highest quality. 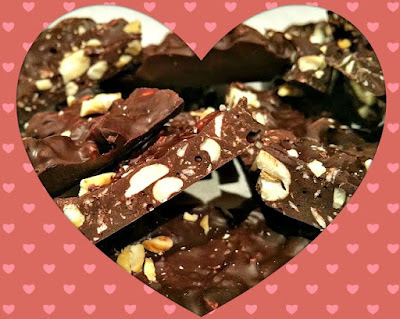 Today, I used coconut, cashews, candied ginger and a touch of red pepper flakes for the candy, but you can substitute any combination of nuts, dried fruit, herbs, and flavorings you like. Just keep the proportions the same. The sea salt adds a delicious contrast to the sweet chocolate but leave it off if you wish. Speaking of "sweet," I used dark, bittersweet chocolate and there is no added sugar so you can feel good about giving this delicious dessert as a healthy gift. And, since this recipe makes over a pound of bark, you can keep some for yourself. Enjoy. Happy Valentine's Day everyone! Bring a medium sized saucepan 1/4 full of water to a medium simmer. Set a medium bowl over ensuring the bottom does not touch the water. Place the chopped chocolate in the bowl and stir occasionally until melted. Remove from heat and stir in the coconut flavor, coconut, and all but two tablespoons of the cashews.Quickly pour onto the prepared cookie sheet and spread to create a thin layer. Sprinkle remaining cashews and about one tablespoon sea salt over the bark. 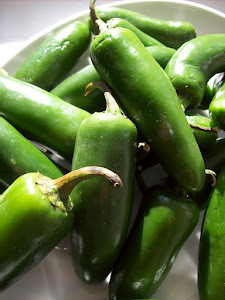 Place in fridge and chill until firm (3-4 hours). Break bark into pieces and serve. Store in an airtight container between layers of parchment paper in refrigerator. Bark will stay fresh for seven days. I created this dip as a sauce for roast pork sandwiches. I was catering a Scotch tasting party and needed appetizers that were appropriate. I stuffed mini sweet Hawaiian rolls with spinach and pork and drizzled the slightly spicy bbq sauce over the top. 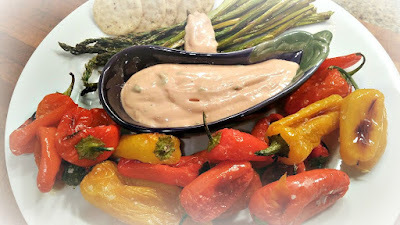 They were gobbled up and everyone raved about the sauce so I decided to serve the rest as a dip for roasted vegetables. The result was delicious! 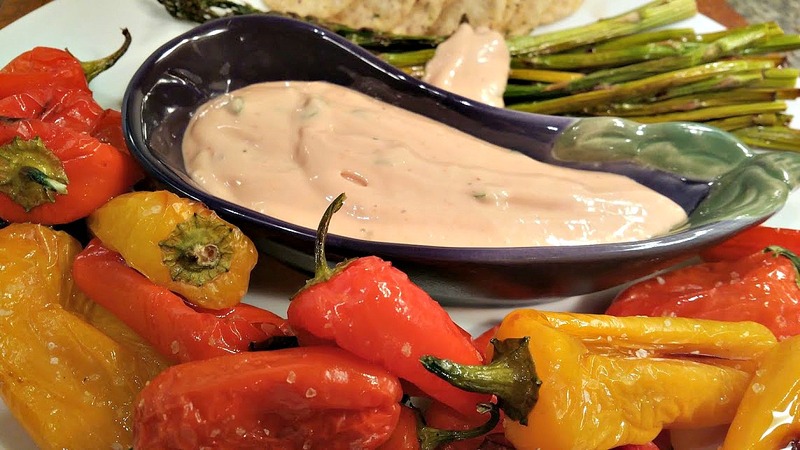 This easy, breezy recipe is made with homemade bbq sauce, but you could substitute a purchased version and stir in a tablespoon of bourbon. Try using as a dip, as a topping for sandwiches or drizzle over steamed vegetables. I think it would be delicious on baked potatoes. Give it a try and tell me how you would use. 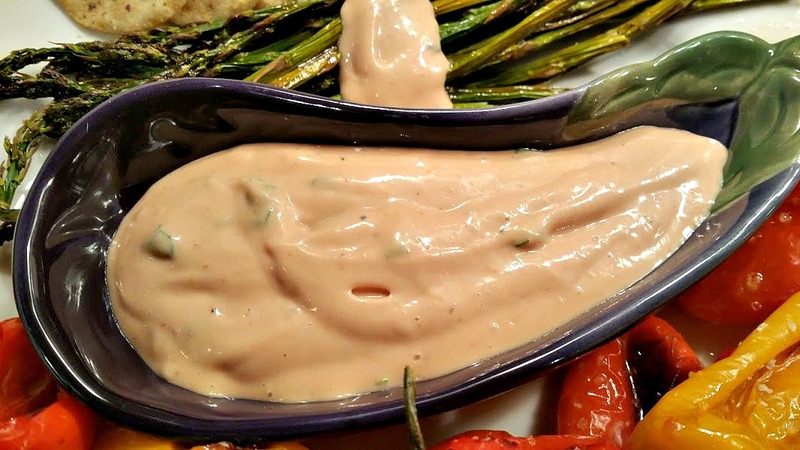 Combine mayo, 1/2 cup bbq sauce, parsley and a pinch each salt & pepper in a medium sized bowl. Stir to combine. Taste and add additional bbq sauce if you like. Adjust seasonings as needed. Cover and chill for 2 hours to allow flavors to develop. Can be made up to 24 hours in advance. In a bowl, whisk together ketchup, vinegar, sugar, mustard, cayenne, celery, garlic, cumin, salt, pepper, and bourbon; set aside. This recipe makes more than you will need. The remaining sauce can be kept, covered, in the fridge for 2 weeks. Use as you would with any bbq sauce.